YouGov is a free survey site, where you can get paid to share your opinions. But is YouGov a scam or a survey site that can really make you money? I have been a member of the YouGov panel for a couple of years, and know all the details about this survey site. 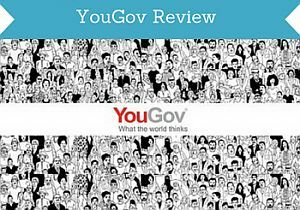 In this YouGov review, I will share my experiences with you, give you the plusses, the minusses and some advice that can be helpful, if you decide to join YouGov. After reading this review, it will be easy for you to decide, if it will be worth it for you to sign up for YouGov or not. What is YouGov, and what opportunities does the site offer? YouGov is a market research company that also has a member panel you can sign up for, and get paid to answer surveys and give your opinion. It has its headquaters in the UK and was founded in 2000, so it has been existing for a while now. You can however also join from many other parts of the world, which I will get into later. Let me reveal right away that YouGov is not a scam site. It is free to join and use, and I have myself been paid from it several times. That it is not a scam does however not necessarily mean that it will be the right survey site for you to join. But you will know that after getting to know all the details about the site offers. So let’s go over the options. YouGov is first of all a survey site, and it more or less only offers paid surveys as a way to earn. It does however offers surveys quite frequently compared to other similar sites. You will receive an email every time a new survey is available. It can be different from country to country, but on average you can expect 5-7 surveys a week. The average survey does not take more than 5-15 minutes to answer, and the YouGov surveys pay pretty well in relation to the time spent compared to other survey sites. There are on occasions surveys that will take longer, but then the reward will also be higher. When you receive an email about an available YouGov survey, you can unfortunately not see in this email, how big a reward the survey gives, and how long it takes. It is however very easy to find out, so you still know this before deciding whether you want to participate in a certain survey or not. You just click the link in the email, and then you will see how many points you can make and the approximate time. If you decide you do not want to participate, you can just close the window. A big plus is also, that they almost never send you a link to a survey that you then do not qualify for. And if they do, you usually get another survey instead. Other survey sites could definitely learn from this, as it can be frustrating to click several surveys that turns out not to be available anyway. The site is quite easy to navigate compared to some other paid survey sites. However, as you receive an email whenever there is a new survey, you actually do not have to navigate on the site itself very much. YouGov offers is the chance to actually see what your answers in the surveys are used for. 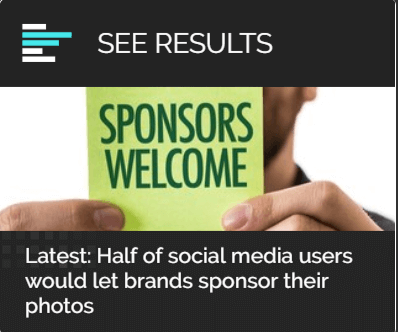 Around once a month, they send out a newsletter, where they link to some of the national and international stories where their survey results have been quoted. It can be quite interesting to see how a survey you have participated in has been quoted and what the result is. This is the only survey site I have found, where you actually get the chance to see the results of the surveys you participate in. On YouGov you can see the results of the surveys they conduct. You can also find this info on the website, if you do not want to receive the newsletter. On the front page of the survey panel website, there will be a section with the latest results. I personally think this is a great feature and very interesting to see how my opinion is a part of the public debate. In some countries YouGov offers you to earn some extra rewards by inviting friends to join the platform as well. Once you are logged in, you will see a link you can share with your friends, if this option is available in your country. You will however not get an extra reward jut by inviting friends. If a friend joins through your invitation link, you will get paid a reward once the person has taken a certain number of surveys. In the country where I live, the person has to take 5 surveys, before I would get a reward. The rewards for this will not be huge, and you can only invite people form your own country to join through this link, so it not necessarily a way to make a lot of money, but it also be nice with a little extra points into your YouGov account once in a while. You will earn points for every survey you take on YouGov. These points can be exchanged used for a long range of different rewards. The exact rewards depends on the country you live in. In some countries you can mainly exchange your points into gift cards or products, but usually it is then some really good options you have, so there will still be plenty of great rewards. In other countries, you can get paid in cash through PayPal, or prepaid visa cards. Some places YouGov also have their own lottery, and you can use your points in exchange for chances to win the lottery. The prizes you can win in the lottery can be big, but there are also not big chances that you will actually win. Personally, I prefer just using my points for something where I know what I will get. When you have completed a survey, you will be directed to YouGov’s website, where you can see how many points you just made, and how many you have in total. So overall the reward options on YouGov are really good in my opinion, but if they fit your preferences of course depends on the exact options in your country, which you have to check out on the website of your country (see link further down). How much time do you have to spend to make money on YouGov? Compared to many other paid survey sites, YouGov has decent rewards for surveys in comparison to the time spent. It is easy and quick to participate, as you just click the link in the email they send. You will get your first 100 points just for signing up and taking a very short welcome survey (around 3 minutes). You can always decide whether you want to participate in a certain survey or not, and you can see the reward and estimated time it will take, before you take a survey. You will not get rich from taking surveys on YouGov, but that is the case for any survey site. But it has good opportunities and can give some nice extra cash. 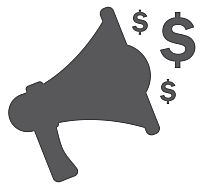 As it only offers paid surveys, it will of course not have as many daily opportunities as get-paid-to sites like for example Swagbucks or PrizeRebel. But YouGov is super easy to use, and the surveys are about interesting topics, and you get good rewards for your time, so definitely a site worth checking out. Can you use YouGov in mobile devices? YouGov can easily be used on mobile devices. This is always an advantage when this is possible on survey sites, as it makes it easy to make money on the go and take a survey, when you have a little extra time during the day. YouGov has an app that makes it easy to take surveys on the go. YouGov has an app you can download for both Android and iOS and it is very easy to use. You can decide yourself, if you want a notification on your phone when there is a new available survey. which is a great way to find out right away. If you do not like notifications like this, you can just turn this off and still use the YouGov app. If you join YouGov, I would recommend you to check out the app, as it is a very easy way to take the surveys and get an overview of your earnings. 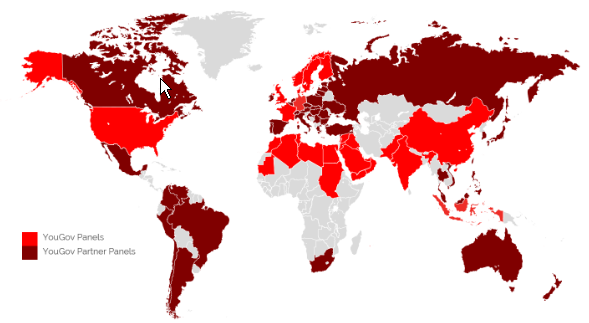 YouGov is available in most of the world, as you can see on the map below. YouGov has panels in many countries. The light red colors are YouGov Panels, and the dark red colors are YouGov partners. You can click the picture to see a bigger version. The great thing about YouGov is that the panels are specific panels for each country, so the surveys will in most cases be in the local language, and the surveys will often be about topics that are relevant to the specific country. How old you have to be to join can vary depending on the country you live in. So you have to check this on your local YouGov website, if you are interested in joining and are not above 18. If you like to get a visual idea of the site and see how it works, I have made this quick guided video tour. Decent rewards in relation to time spend. Gives the chance to see the results of the surveys. Not as many surveys as some other survey sites. YouGov is in my opinion definitely a survey site that is worth joining. It does however depends on the reward options in the country you live in, as they are different from country to country. It has a good amount of available surveys, but as it is solely a survey site, it does not have many daily opportunities as some other survey sites have. So if you are interested in earning daily, you should also join other survey sites in addition to YouGov. But as YouGov is easy to use and have pretty well paid surveys, it is definitely a site I recommend to join and a site that can earn you some nice extra cash or rewards. YouGov is very easy to join. Just click the button below and select the country and group you belong to and then fill out the sign up form on YouGov’s website (takes 1 minute). After you join, you just need to do a small intro survey, which only takes around 3 minutes, and you will get a reward for it. 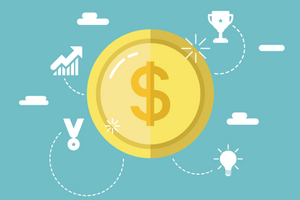 So you will start earning right away with the intro survey, and after that you will start being invited to surveys regularly. If you have experiences with YouGov yourself, have any comments or any questions, I would love to hear from you in a comment below. YouGov is a decent survey site with regular surveys. It is easy to use, and you will get an email every time there is an available survey. The rewards are decent in relation to time spent, and in most countries it has some good reward options. Thanks for sharing your experience Chak and for sharing your income proof. The processing time can vary from country to country and in some countries, it does not take as long. I got to within 15 points of the £50 cash payout 3 months ago, and since then I have not reviewed a single poll request, I used to get one a week at least. When I log onto the sit it just says there are no polls for me. I have been paid by YouGov myself several times and have not experienced anything similar. Sorry to hear this. I know many survey sites (including YouGov) have had a lot fewer available surveys over Christmas and New Year because most of the research companies have also been away for a break. Hope this is just the case for you and that you will soon get more surveys and be able to cash out. Feel free to keep us updated. I have seen several comments of Facebook & other sites from people who have given their bank account info and never received their payment. I always used to cash out with the $100 Visa card which gives you flexibility on where you can use it. They do not offer that anymore. I really don’t like the idea of giving my banking info to a company that doesn’t even list a phone #. Most sites have paypal which is very safe & secure to use. Do anyone else feel uneasy about giving bank account #’s to this company? I understand your concern. I am also very careful about which companies I give my bank info to. YouGov does not offer the opportunity to pay directly into the bank account in the country I live in, but if it did, I probably would give my info to them, as I have already been paid in other ways by them and know they pay. But if you do not feel comfortable with it, there are luckily many other great survey sites that pay out in different ways. I agree that PayPal definitely is a great way to get paid on survey sites and it is also my preferred way on sites that offer this. YouGov does also offer this in some countries but sounds like that, unfortunately, is not the case in your country. Is it safe to give my sort code and account number to yougov? YouGov is definitely legit. But why would they ask for your account number? Is it because they offer to pay directly into your bank account in your country? If that is the case, I would trust YouGov. I have been paid by it several times myself. This is a great way to make some extra cash. Its my number one place to go to spend 5-10 minutes to make a few bucks. One question though that I can not find an answer to. Is there any reward for answering the additional “Take Part” questions on the site? YouGov is available in many countries and in many languages, so there might be slight difference from country to country. But all the surveys I have done on YogGov has given me rewards (and I have done many). There are however some surveys that do not give you points that you can exchange for rewards. Usually these are shorter surveys, and you will instead get entries into the monthly lottery. But you can always see before doing any survey on YouGov what that reward will be, if you complete it. Hope this answers your question – if not feel free to let me know. The site is in Dutch. Is there an English worded Yougov? yes YouGov has sites in many different languages and also in English. In the top left corner next to the logo, you can click the small country code (in this case DK), Then you will get the chance to chose your country and language. Let me know, if it still does not work. I always liked the idea of filling out these surveys for a bit of money but I’m sure there’s some sort of catch. I’ve heard a few horror stories about low payment and the amount of time needed to complete each one. What do you think about them in general? What would you suggest instead when it comes to earning online? I think that surveys in general can be a great way to earn a bit of extra cash. But there are unfortunately also many sites that are a waste of time. I am trying to expose some of these in my reviews as well. The thing about survey sites is that you often hear complains from people that have unrealistic expectations. Some sites definitely also give false hopes by promising too much, which is a part of the problem. Another thing is that which survey sites are good and how many surveys you will get depends a lot on where you live. A survey site might be very good for one person in one country but not for another. So I think there are too many negative stories about survey sites. Definitely also due to the many scam sites that exist. But I have benefitted a lot from survey sites and been able to make some nice extra pocket money. For me the great thing about surveys is, that you can actually make some money online without any investment, without any risk, and without any training at all. You cannot say that about any other way of making money online. But it is important to have realistic expectations. Doing paid surveys will not make you rich and will not make you a full time income. If that is what you are looking for, you have to be willing to work hard and probably also make a bit of investment. In one of the comments below, I have posted a link to the training platform I would recommend, if that is the way you wanna go. Hi, is there a Paypal option for the rewards? No unfortunately YouGov do not offer to pay to PayPal. I hope they will introduce it at some point as that would make it one of my absolute favourite survey sites. But they offer a long range of products you can exchange your points into, so it is definitely possible to find something nice. But if you are only interested in sites that pay to PayPal, YouGov is unfortunately not the right choice. I’m reluctant to use survey sites. I’ve tried them in the past and usually got a ton of spam in my inbox. If yougov related to a government or is it private domain. It sound more like a marketing ploy. Do you really think online surveys are worth the time and effort or do you know a better way to make money online? I also hate getting spam. However, I think it depends on which survey sites you join. I receive a lot of email, but mostly only when there is a new survey available. So I have actually not had problems with more spam since I joined survey sites. But I do recommend people that want to join survey sites, to consider making a new email just for the surveys. Mostly because if you sign up for several sites, you can get many emails daily, and it might be nice to keep them separated from other emails to get a better overview. If online surveys are worth the time and effort, I think really depends on your expectations. It can be a great way to make a bit of extra money on the side without much effort – but it does also depend on which sites you join. I have joined sites that took a lot of effort for very little reward, but after figuring that out, I just stick to the ones that I think are the best. I hope that I with this website can help people to find these site more easily without having to test a lot of bad sites themselves. But yes, if you want to make a living online and are willing to put in all the training and work it takes, I think the best way is to learn how to build on online income from a good website. It takes effort, but it can also be very profitable. Never believe the sites that promise you can get rich from doing nothing and just spending a few minutes a day. But if you are interested in creating an online business, I recommend you to check out this article and video that gives a great overview about how to do that: How to create an online business. No, you cannot use Western Union. But you can also check out the best survey sites in PH where some of them offer other payout methods. But if you want to earn by taking paid surveys, it can, in general, be a good idea to get PayPal as many sites offer this as a payout method. It is free to get an account so you might want to consider getting one as it is an easy way to get earnings from survey sites.